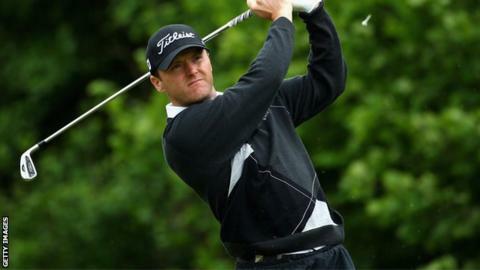 Michael Hoey ended the European Masters on one under par after a closing round of 72 Crans-sur-Sierre in Switzerland. The Belfast player recorded four birdies, three bogeys and a double bogey in his final round and ended well back in a tie for 55th position. Darren Clarke finished joint 71st on four over following a last round of 71. Scotland's Richie Ramsay won the tournament on 16 under, four ahead of his nearest challengers, while Shane Lowry on two under was best Irishman.